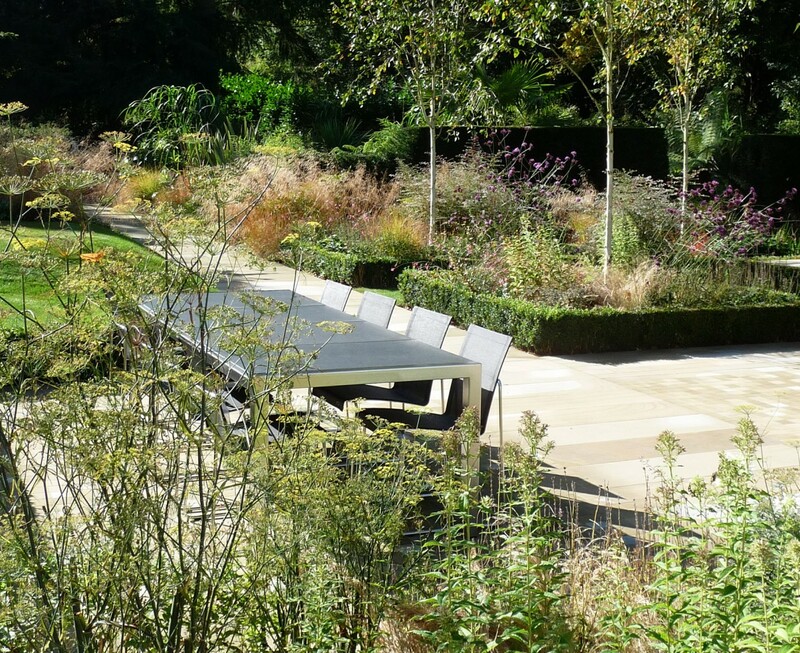 I will always remain very happy with this project as the garden sits incredibly comfortably in its setting, compliments the house and is strong yet simple in design. 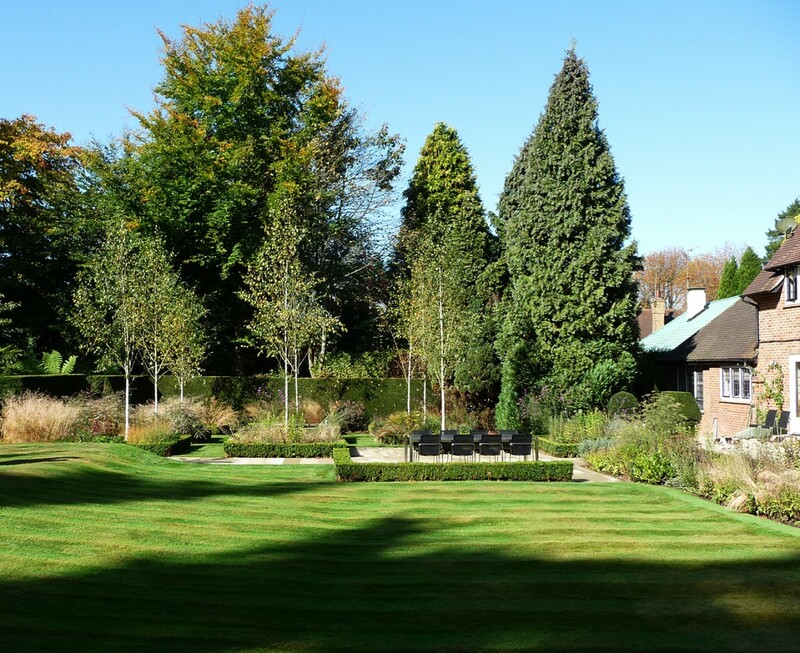 The successful outcome has a lot to do with the good relationship we have with our client. 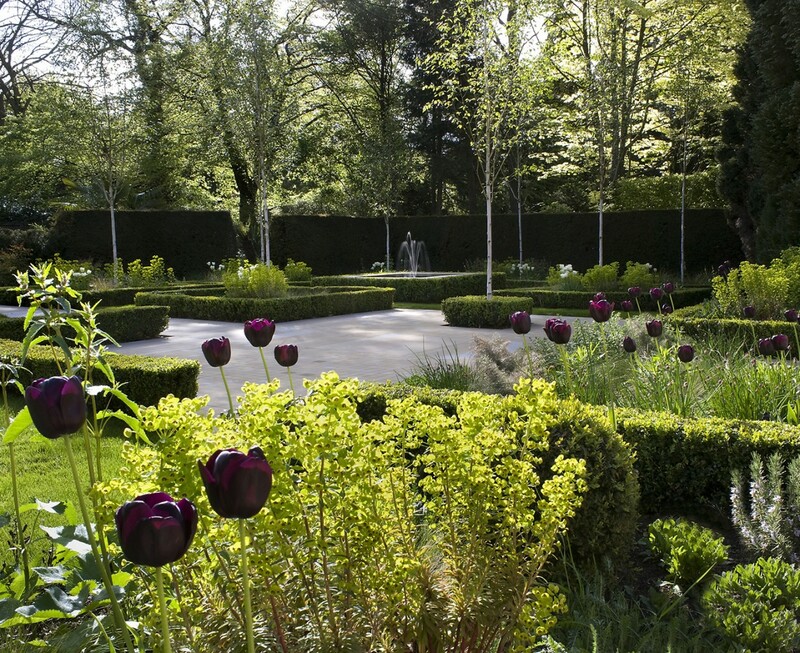 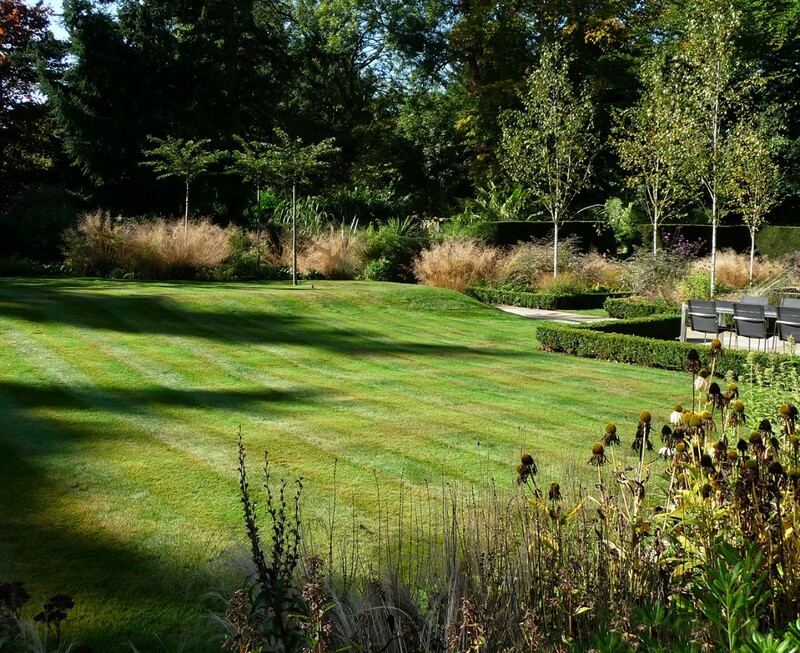 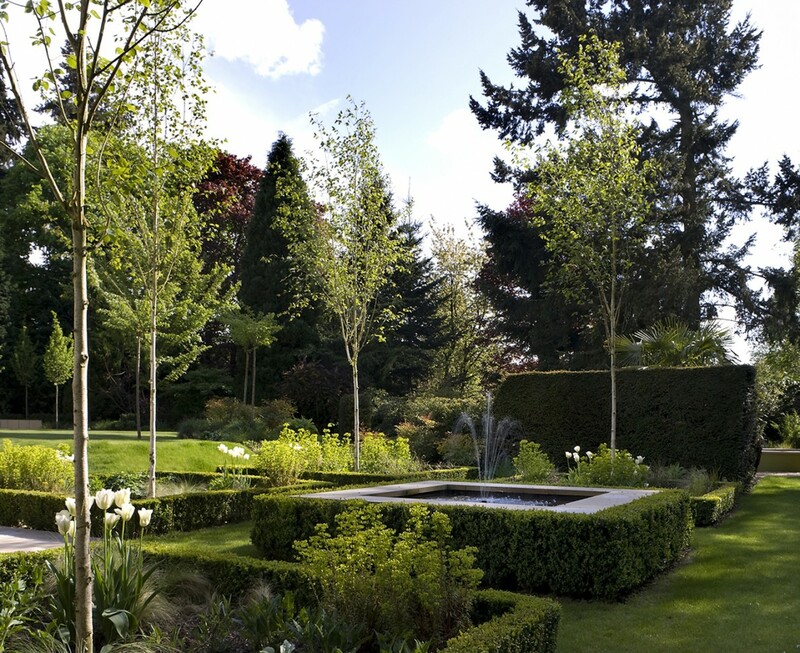 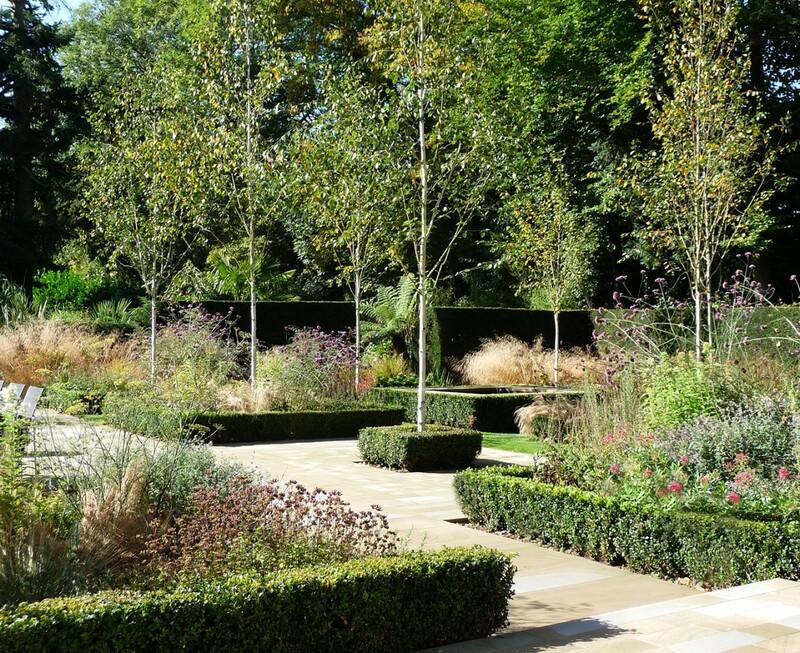 The modern take on a parterre delivers a crisp neo classical garden and we took great care to design successional planting so that the garden looks really stunning for long periods. 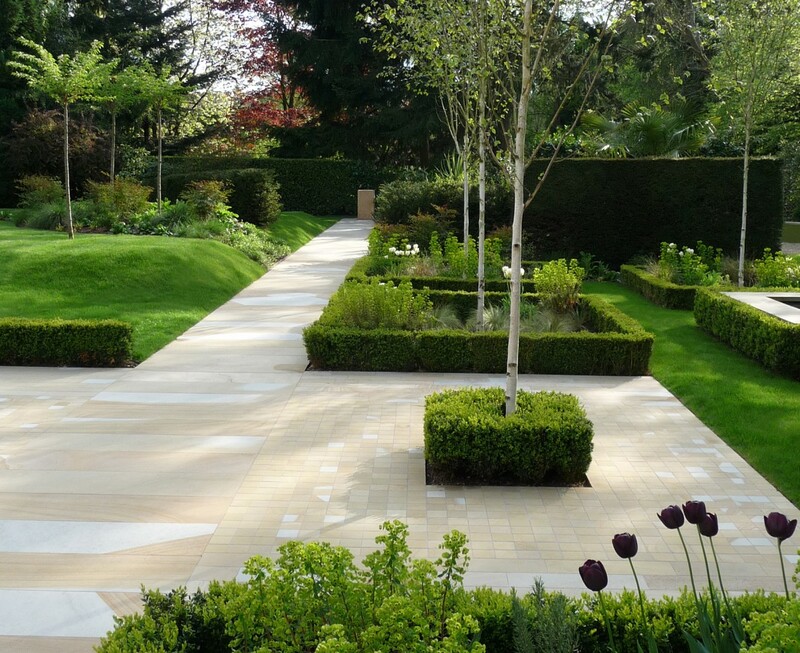 The new York stone paving nudges into the garden in a more contemporary direction which suits the modernity of some aspects of the interior. 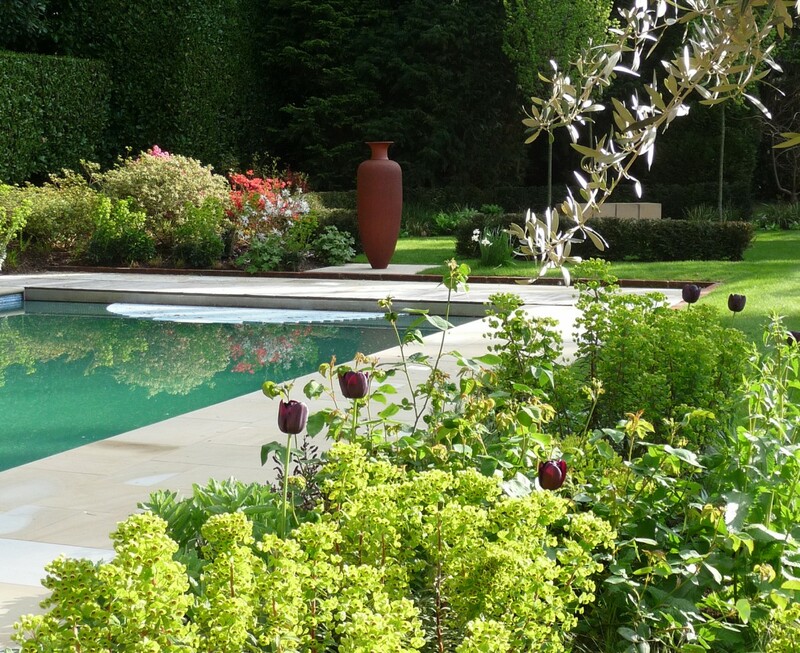 We worked with an existing swimming pool but the new design embraces it to become an integral part of the garden. 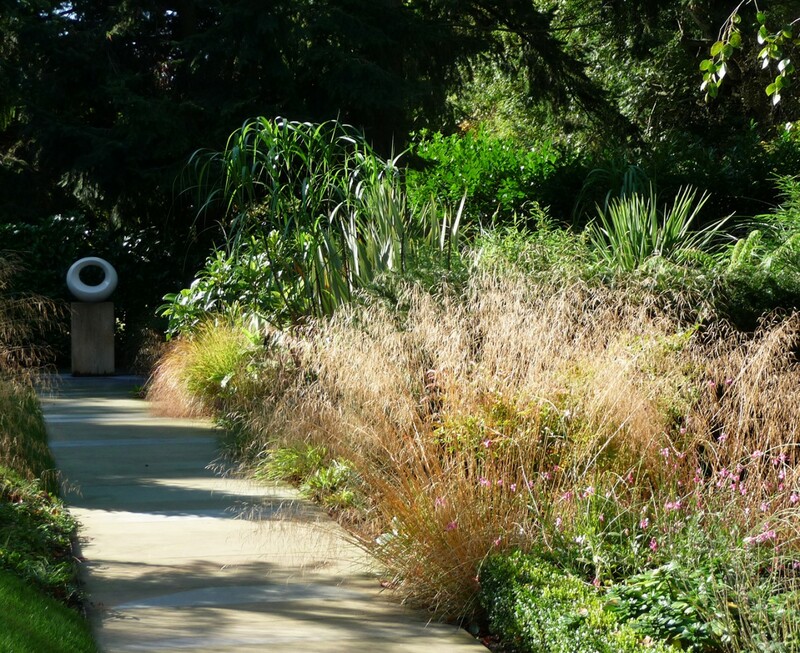 We were also able to source and commission sculpture, designing it directly into the garden, not adding as an afterthought.